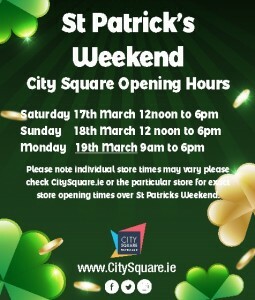 Here are the opening hours for City Square over St Patrick’s Weekend. Please note some stores may trade differently. If there are any changes we will post them our website and social media.